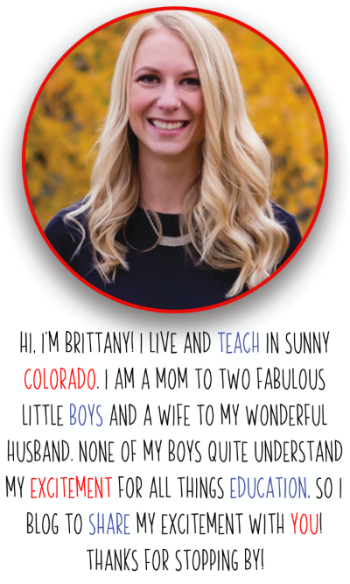 I'm Brittany, and I live with my husband and two boys in sunny Denver, Colorado. I have been teaching for thirteen years! Two years ago I moved out of the classroom and into a reading interventionist and instructional coaching role. I absolutely love the balance it gives me. I'm able to still teach and have my time with the littles, but I get to observe and coach and build relationships with teachers too!